27th May 2010, London, UK: Veteran British iPhone game developers Origin8 will be celebrating the iPad’s arrival in their country with a long weekend sale on their smash iPad strategy title “Space Station: Frontier HD”. 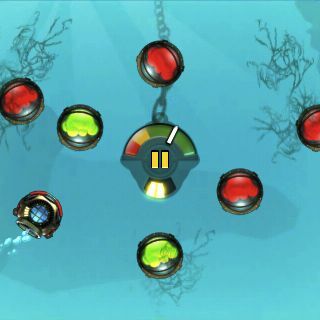 From the 29th to the 31st May the top ten hit game will be available for $2.99 or regional equivalent, down from $4.99, while the iPhone/iPod Touch version will also be on sale for just $0.99. Coinciding with the sale is the release of an update adding a head to head WiFi/Bluetooth multiplayer mode. Now iPad players can go on the offence, assembling alien fleets to attack their opponent’s station while constructing their own base’s defences against enemy assault. “Space Station: Frontier” and “Space Station: Frontier HD” are fully compatible in multiplayer, allowing head to head play between any pairing of iPhone, iPod Touch or iPad (requirements: iPhone OS 3.0 Bluetooth, OS 3.1 WiFi). 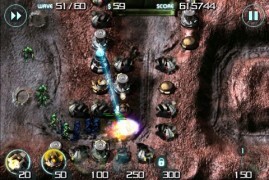 “Space Station: Frontier HD” is available from the iTunes App Store at http://itunes.apple.com/app/space-station-frontier-hd/id368763113?mt=8, while the iPhone/iPod Touch version is at http://itunes.apple.com/app/space-station-frontier/id346227455?mt=8. 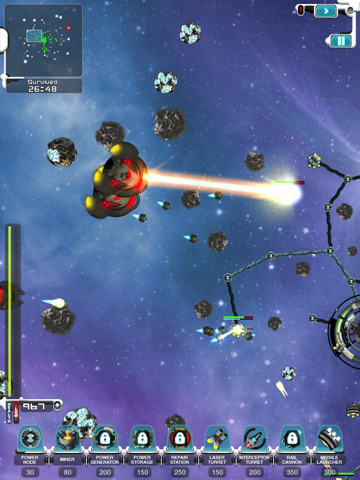 For screenshots, video and a round up of reviews, please visit http://origin8.com/spacestationhd and http://origin8.com/spacestation respectively. About us: Origin8 is an innovative mobile developer based in London, UK. With an experienced team whose credits cover a vast number of gaming platforms, they specialise in games and entertainment for the Apple iPhone and iPod Touch. 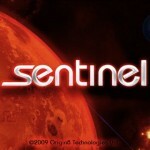 Origin8’s acclaimed products include “Sentinel: Mars Defense”, one of Apple’s App Store Anniversary top 30 games. 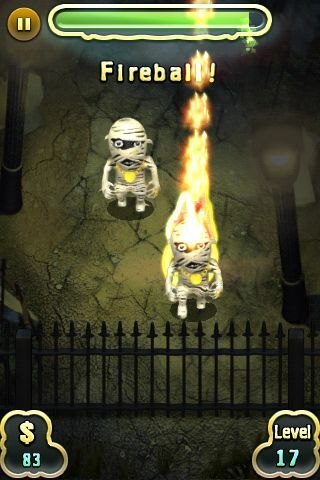 With Halloween approaching at the end of October, we are bound to see more apps with ghouls, ghosts, and mummies. 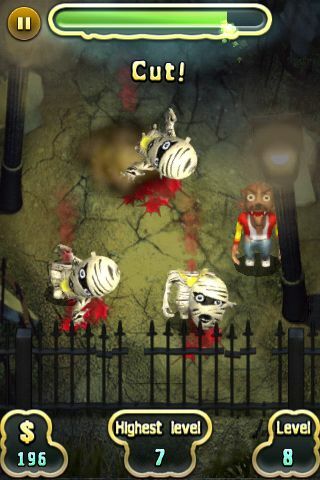 MonsterKill, the newest game by Origin8, is a great new app in this genre. 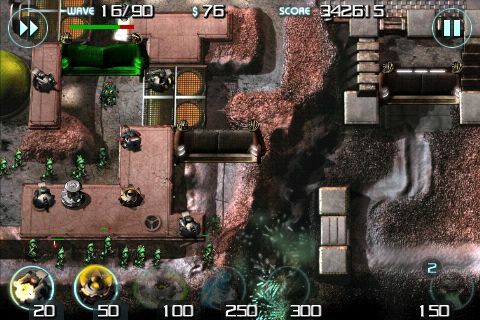 MonsterKill is not a traditional tower defense game like the earlier Sentinel games also by Origin8, but it does borrow some elements from them. Your job is to defend your gates against the waves of attacking monsters. Don’t let them break them down. or the game is over. There are three modes of game play. Each one presents a different challenge. 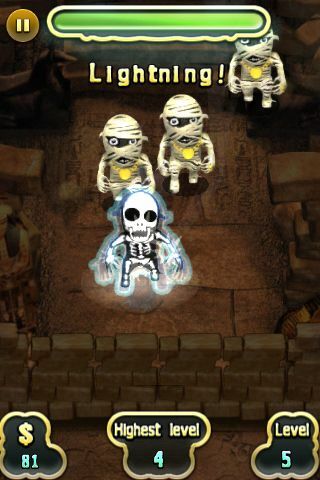 In normal mode you have to last 20 rounds against the monsters. You start with one spell to defend your gates. Other spells are unlocked as you progress. In endless mode, you must last as long as you can. 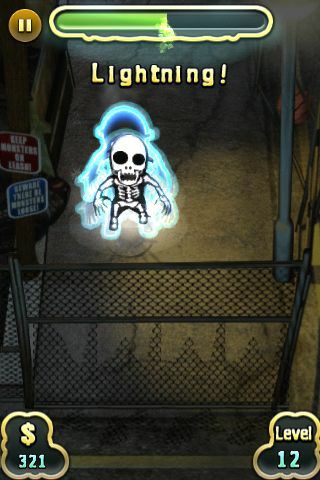 There are unlimited rounds of attacking monsters. See how long you can last. In onslaught mode, you have no gates to defend yourself. 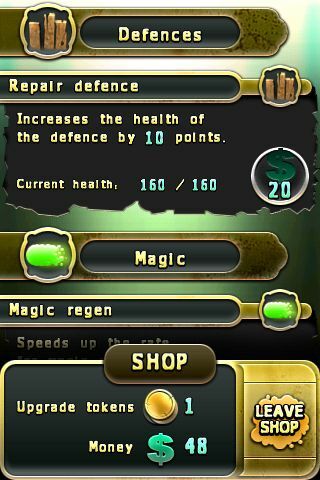 You are given 20 tokens to buy upgrades. Then, you have to defend yourself against 101 monsters. See if you can get them all. 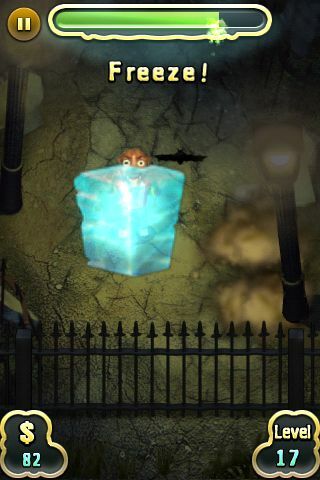 In order to cast spells on the monsters, you have to have magic available in your magic meter at the top of the screen. Use the magic that is there wisely. It is easy to run out. 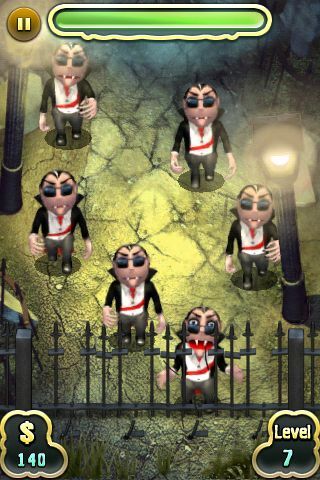 At the end of each level, you are given the chance to buy upgrades using the money and tokens that you have earned. Money is used to repair or upgrade your gates. It is wise to save your money when you can. Once it is spent, you cannot get it back. Tokens are used to upgrade spells and the speed that your magic replenishes. Unlike your money, you can get your tokens back if you change your mind and use them for something else. 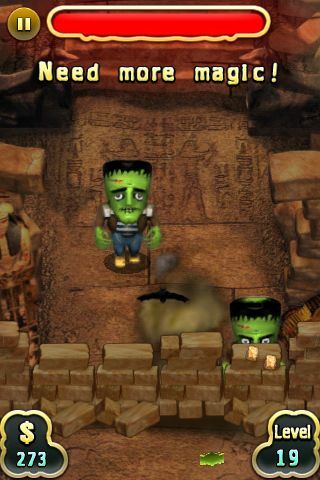 Overall, MonsterKill is a great game that is fun and has great graphics. However, I did run into one frustration in trying to cast the lightning spell. To cast it, you have to draw a lightning bolt on the screen. Although, the game provides a tutorial on each spell, showing you how to cast it, I could never seem to get it right. After much practice, though, I finally got the hang of it and was able to enjoy the game. Despite that flaw, I still highly recommend the game.